I don’t know about you, but I’m always looking for a good book to read that’s a little off the beaten path. It feels like young adult (YA) literature options are getting more and more limited. Authors seem to either be one of the big five (J.K. Rowling, Suzanne Collins, Veronica Roth, Stephanie Meyers, Rick Riordan) or are claiming that their book is the next “Hunger Games,” “Twilight,” etc. Peine Perdue is a French synth pop duo comprised of Stephane Argillet and Coco Gallo, whose album “Disparations” is currently being distributed through the Seattle-based label Medical Records. Like many groups of their ilk, their music (at least on this album) features repetitive drum loops which back a mix of gritty, ethereal synthesizers and funk grooves. 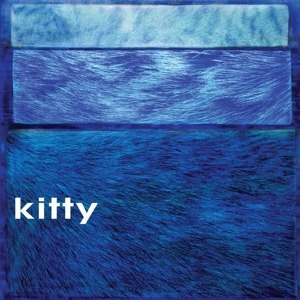 From tape-loop, ambient textures to jungle breakbeats, Austin-based band Kitty unleashes their first ever set of recordings from the 1990s with this new self-titled album. With all the fury of high octane, NOS (nitrous oxide) souped up engines, and vengeance, the latest installment in the “Fast & Furious” franchise comes barreling into theaters in time to kick off the early summer blockbuster season. Written by local playwright Louis Broome, “Texarkana Waltz” tells the story of a brutal crime and how two people deal with the repercussions years later. The play is told through a darkly comic lens that features singing cowboys, electric chairs and ghosts. Bigger, better and more exciting images will soon be exploding onto the screen in SCC’s theater as a new projector and digital soundboard arrive. In a fast moving world of digital movies and digital sound, new technology is needed not only to keep up with the times, but also to help lead the way in education. SCC is attempting just that with the installation of a brand new, state-of-the-art digital movie projector and digital soundboard. SCC’s theater manager John Nold has been at the forefront of the digital revolution that has come to SCC. Do you do the Transgender Dysphoria Blues? “Transgender Dysphoria Blues” is the most important piece of transgender media to come out in years. Trans people rarely show up in popular media, and when they do, they are often presented as jokes or treated in a horribly offensive fashion. Even when they are treated with some amount of respect and dignity it is usually in media written by cisgender people, played by cis actors, and marketed to cis people. Trans people are not often allowed to tell their own stories. Read more about Do you do the Transgender Dysphoria Blues? Standing ovations are supposed to signify when something truly extraordinary was just witnessed. But what does it mean when everything gets a standing ovation? Is anything special when everything is special? Chances are we’ve all seen it: a play, musical, concert, opera, movie, etc., comes to an end and, whether you like it or not, everyone around you has risen in applause. It’s as if this thing was so good that they couldn’t contain their excitement to their seats, and must erupt to their feet for proper exaltation. For all it’s intense action, “Chappie,” Neill Blomkamp’s latest sci-fi blockbuster, would be right at home in Isaac Asimov’s “I, Robot.” Rather than another grandstanding tale of humanity’s destruction at the hands of machines à la “The Terminator,” “Chappie” tells the remarkably human story of a sentient robot who must find its purpose and confront its own mortality.